NEED A CALIFORNIA BIRTH CERTIFICATE? SKIP THE LINE AT YOUR LOCAL OFFICE! THE BEST CHOICE TO GET A BIRTH CERTIFICATE ONLINE QUICKLY! 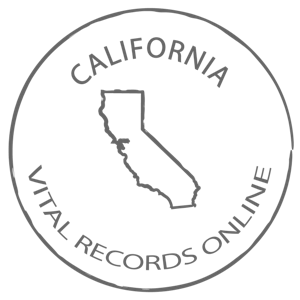 WHAT OFFICIAL DOCUMENTS DO I NEED TO ORDER MY OFFICIAL CALIFORNIA BIRTH CERTIFICATE ONLINE FROM VITALRECORDSONLINE? The only document you need to submit an application for a birth certificate is a copy of your photo ID. Once you are ready to get started, you will find that our application assistance services are comprehensive, secure, and easy to follow. Once these steps are complete, the individual only needs to wait for approval from the Health Department to receive their official birth certificate. Yes, it's that simple! HOW LONG WILL IT TAKE TO OBTAIN A COPY OF MY BIRTH CERTIFICATE? Each state requires a unique processing time before delivering your birth certificate. Once the Health Department receives your application, they will then process your application and mail your birth certificate directly to your home address. IS VITALRECORDSONLINE SECURE TO OBTAIN MY BIRTH RECORD COPY?